The parabolic kettle is manufactured from seamless copper. Form and depth are carefully calculated and construction is carried out with the utmost precision. Because the rim on which the head rests forms part of the kettle, there is no resonance-distortion from any steel carrying rim on this instrument. The kettle’s suspension in its frame guarantees total purity of sound. At an extra charge, the kettle is also available in a hammered copper version. In addition to the parabolic version, a deep cambered shape is also available. A unique balance spring renders the pedal action pleasantly light, thanks in part to the special coating on the kettle rim. If required, the balance spring can be easily adjusted with an adjusting key on the bottom plate. Majestic Symphonic timpani feature two swiveling castors with brakes and two fixed wheels beneath the pedal. This allows the timpani to be moved easily without having to be partially lifted. Majestic Symphonic timpani all have a range of approximately 1 octave and come in the following sizes: 20", 23", 26”, 29” and 32”. 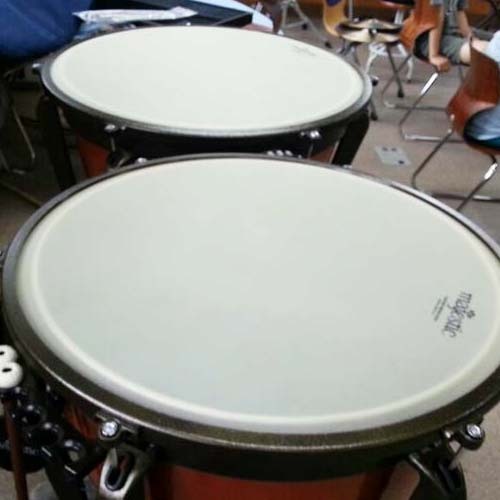 All Majestic timpani can be ordered in either American or German set up. Tuning gauges will be placed accordingly. 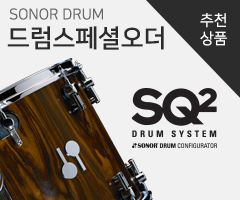 Symphonic timpani are standardly fitted with Remo® Renaissance™ heads. The cast aluminum frame is both robust and pleasantly light.